Below are links to relevant organizations both locally and nationally as well as group members. Covering the Counties of Sussex and Surrey the Group aims are similar to those of both Hampshire and Dorset Coppice Groups. Dorset Coppice Group has similar aim to Hampshire Coppice craftsmen's Group. The National Coppice Federation has grown out of the wish for regional coppice groups to unite under one banner as a federation of groups. Offering gardening services and woodland products from coppiced hazel woods, in the Stockbridge area. Member Mark Allery Pole-lathe turner, greenwood worker and woodsman living and working in and around Lynchmere, on the border of West Sussex and Hampshire between Haslemere and Liphook. A very interesting blog site. Hampshire's Woodland Habitat adviceHampshire County Council's Biodiversity page, giving links to various other bodies as well as information on dormouse conservation. The association of Pole Lathe Turners is an organizations dedicated to finding out about the history of the Pole-lathe and pole-lather turning and to promote the highest standards of both pole-lathe turning and green wood working. The Green Wood Center is located in the heart of the Severn Gorge just a short way from historic Ironbridge. they run a number of courses and are involved with "A week in the Woods in Hampshire" promoting coppicing and woodland management. The Sustainability Center in Hampshire was set up by the charity Earthworks Trust to demonstrate and Promote Sustainable Living that won't cost the earth. They also offer a wide range courses in many subjects for both adults and children, as well as accommodation. The Small Woods Association is Britain’s leading organizations in supporting and promoting the work done by the owners and careers of small woodlands. Hampshire and Isle of Wight Wildlife Trust care for 57 wildlife reserves – more than 6,500 acres of valuable wildlife habitat. They provide volunteering, education and training opportunities, enabling individuals and communities to provide sustained benefit to these essential wild places. The woodland workshop makes windsor and ladder-back chairs and offer green woodwork and chair making courses, as well as demonstrating at shows. 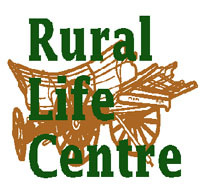 The Rural Life Center is a country life museum, assembled by Mr & Mrs Henry Jackson and run by a charitable trust. It is pleasantly distributed over ten acres of field, woodland and barns, and comprises a large number of implements and devices marking over 150 years of farming. Set in the Hampshire country side just outside Winchester the lime Center is the foremost Uk facility for "hands on" experience with lime. 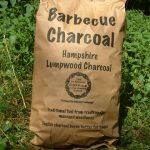 Hampshire's Green Book and Directory This blog aims to promote all things green ie natural, organic and environmentally friendly in the Hampshire area. At Wessex Film and Sound Archive you can see and hear history, from late Victorian times to the present day, through moving images and sound recordings. Fresh produce grown by us and our neigbours. A full range of locally produced meats with sausages, bacon, ham and joints all processed on the farm. Hampshire Training Providers Ltd is a non-profit organisation that provides quality land-based and agricultural training to a wide variety of businesses across Hampshire and West Wiltshire.